Systematic Kinesiology is a complementary therapy which provides a natural and holistic approach to health care. It is safe, drug-free and suitable for anyone. It is an ideal form of preventative health care as well as a useful tool to treat many different health issues. What kind of ailments can Systematic Kinesiology help? Systematic Kinesiology utilises the bio-feedback mechanisms of the body by muscle testing. It links neuro-muscular feedback science with the study of lymphatic movement and energy systems used in traditional Chinese medicine in order to gain information about how the body is functioning as a whole. What can I expect in my Systematic Kinesiology session? At your first session Jeni will ask you about your general health. She will then carry out some simple tests to see how your body responds. You will remain clothed but will be asked to remove shoes, belts and jewellery or any restrictive clothing. Jeni will move your arms and legs in order to activate certain muscles. These are not strength tests but are a way to ascertain imbalances in the body’s functioning and response. Treatment will involve various techniques including massage of muscles and stimulation of lymphatic points. Following your treatment, Jeni may give you advice on nutritional supplements, relaxation techniques and lifestyle changes. This depends from one individual to the next. Typically a client will have three to six sessions at weekly or fortnightly intervals, followed by maintenance sessions every few months. Further blocks of sessions may be required if new stresses in life arise or if presenting issues are multi-layered. 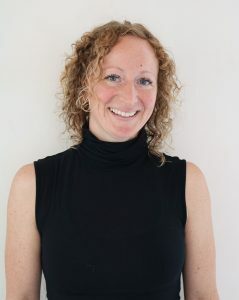 Jeni Howland is an accredited Systematic Kinesiologist. She studied for two years with the The Academy of Systematic Kinesiology and for one year with Gek-Bee Prout of Cotswold Kinesiology. In addition, and in order to be accredited by the Association of Systematic Kinesiology, Jeni has certificates in Anatomy & Physiology, Nutrition and First Aid. Jeni is also a certified Reiki practitioner. Kinesiology has been a little bit of magic … after just a couple of sessions I’ve felt a huge lift in my energy and resilience, the physical niggles that have been bothering me for months are almost gone, and I’m feeling like the person I want to be again. Thank you! I always feel much happier and energised after our sessions … they give me a wonderful boost for the rest of the week. I already recommended Kinesiology with Jeni to my friends and family, and will surely recommend it to someone who is looking for a holistic approach to health.